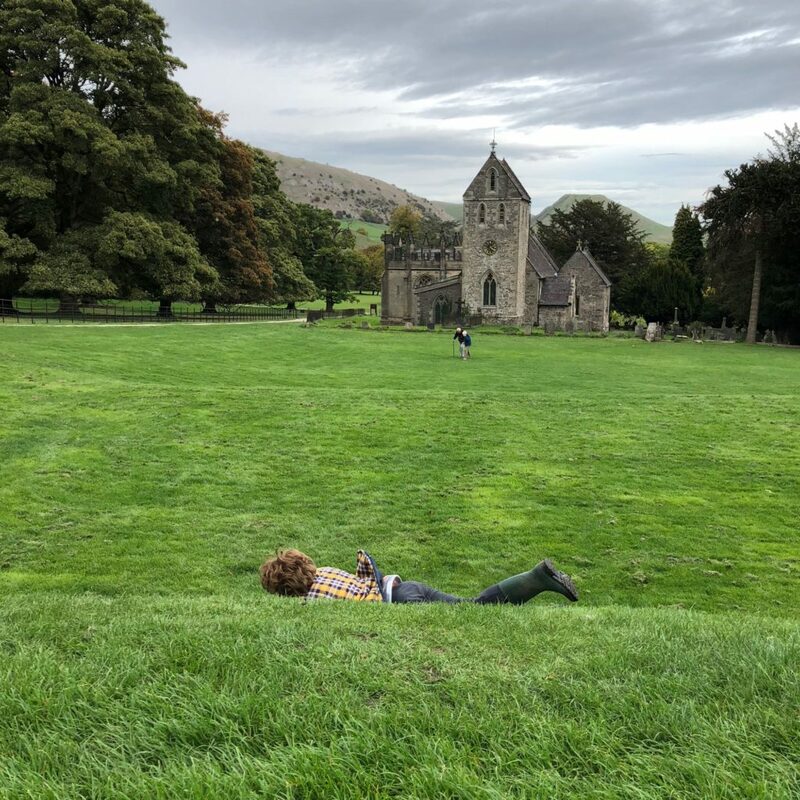 Nearby Ilam, Dovedale and The Roaches are absolutely brilliant places to let off steam, but there are lots more places to explore. Alton Towers is under 10 miles away and before you reach that is Peak Wildlife Park. 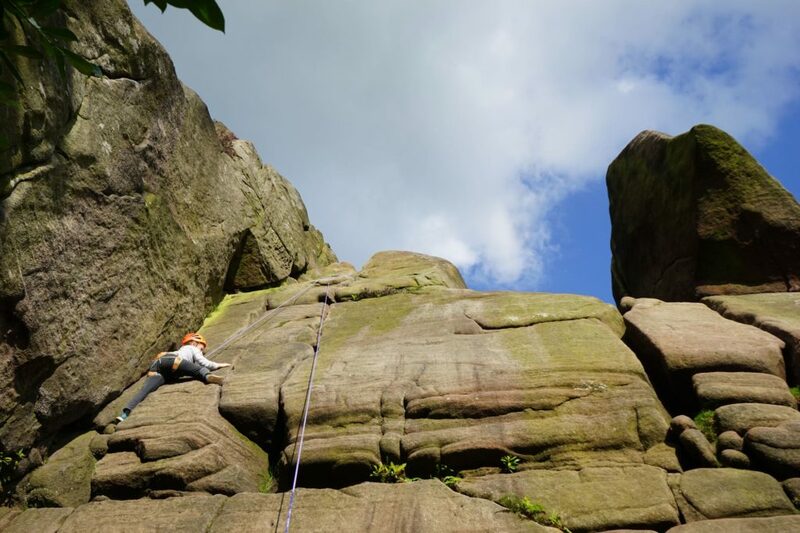 The Peak District is a brilliant place to learn to climb or abseil or try out watersports as a family. We’re less than 10 minutes drive from two excellent traffic free cycle tracks, both with family bike hire. Matlock Bath with Gulliver’s Kingdom and the Heights of Abraham cable cars make a fab family day out. 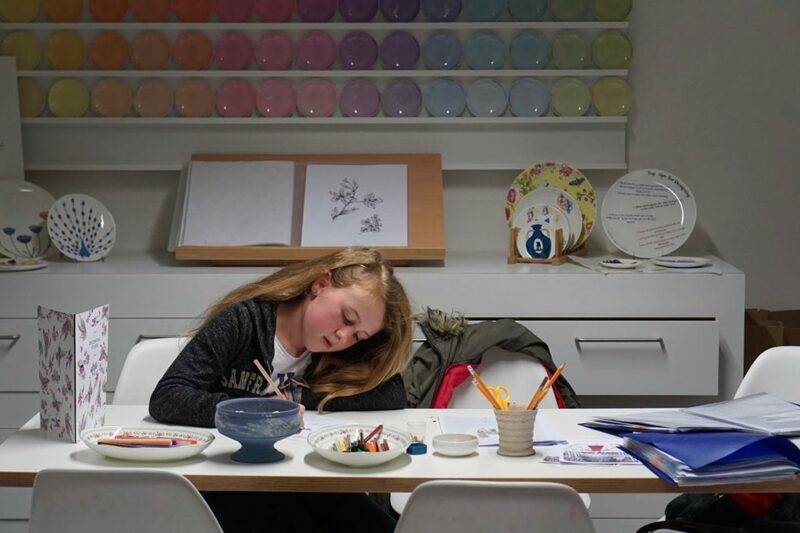 For rainy days head to one of the Peak District’s four caves and caverns, to Sudbury Museum of Childhood, Alton Towers Splashlandings water park or to The Potteries to throw and decorate pottery in the world’s ceramic capital. 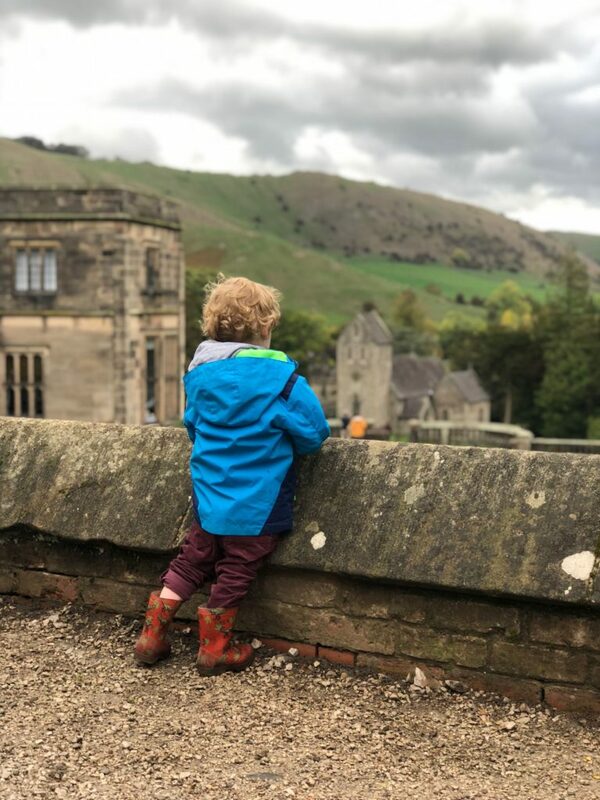 Ilam is a beautiful National Trust place only ten minutes by car where you simply pay to park and then can run wild in the gardens, roll down hills, play pooh sticks and follow the tree stump trail along the river. There is a tea shop, a shop and toilets. 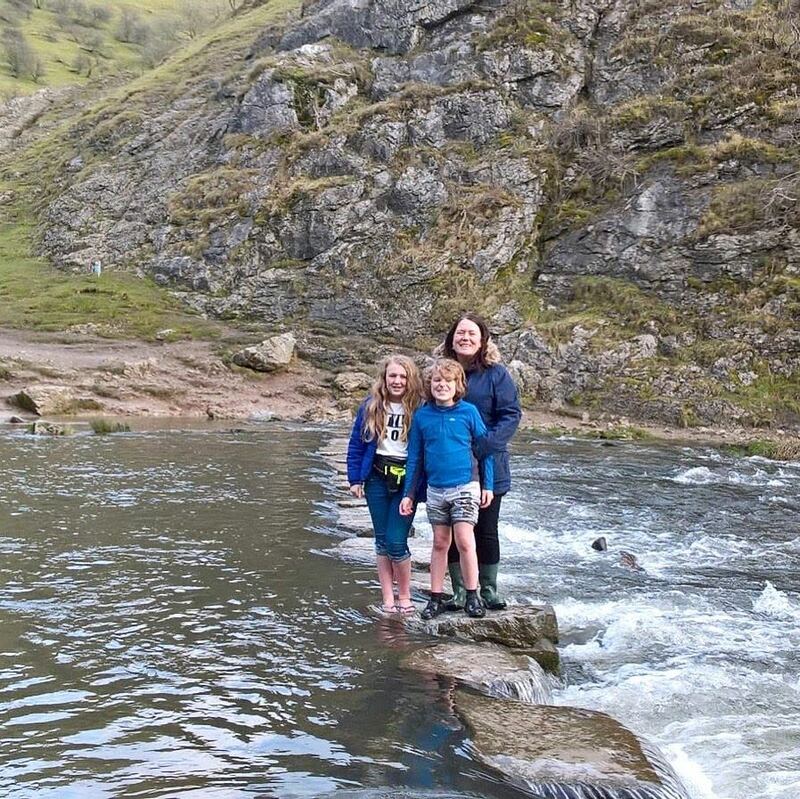 Dovedale is a great walk for little legs and the walk to the stepping stones is pushchair friendly. The stepping stones, and mobile cafe with hot dogs and ice creams make a good reward/bribe. Its a great spot for a paddle, so pack wellies, or a change of clothes. Afterwards head to Ilam Manifold Tea room or The Old Dog at Thorpe for gourmet burgers and fries. 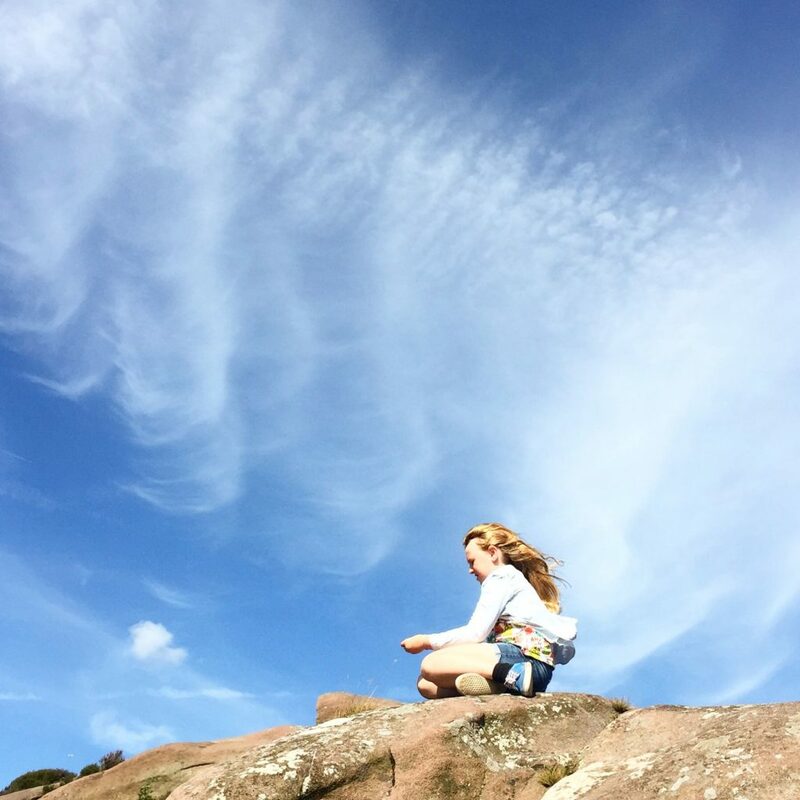 The Roaches and Ramshaw Rocks, and Lud’s Church are fabulous for leaping, climbing and awe inspiring (and social media posing). There’s a tea room and a pub nearby, but you may want to head on into Leek to our favourite cafes The Foxlowe Arts Centre or Spout and have a potter in the shops there too. Only 15 minutes away, this National Trust place is special indeed! Everything you would expect from the National Trust: gardens, playground, tea room, shop and big house but also a fantastic Museum of Childhood, making it perfect for a rainy days. It’s a lovely nostalgia trip for parents and grandparents and always gets everyone talking. Plus the areas about children’s work is fascinating and kids can climb up a chimney like a sweep would have done. The Peak Wildlife Park is only 8 miles away. Large walkthroughs allow you to come face to face with exotic and endangered animals from across three continents. It’s a small and friendly place and so there is lots of opportunity to get very close to animals. 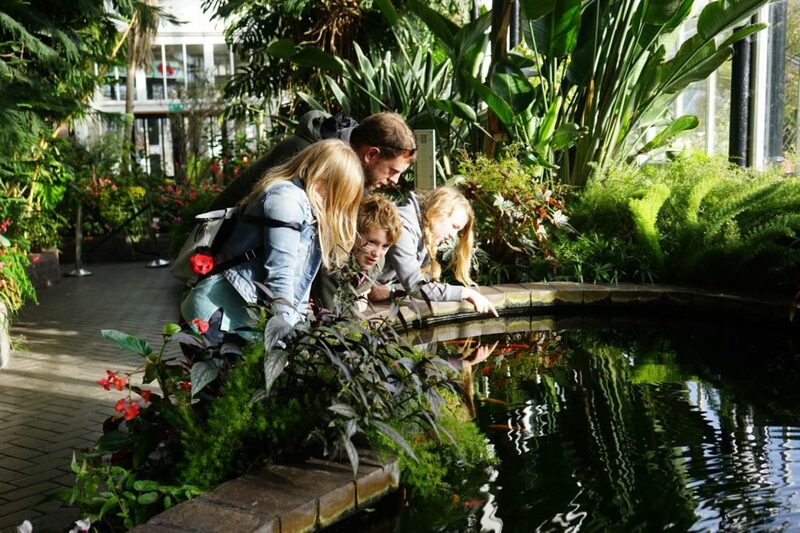 This Visit England awarded ‘Hidden Gem’ is a wonderful place to introduce kids to nature. I have fond memories of sitting in a hide here with my Dad watching kingfishers and woodpeckers. 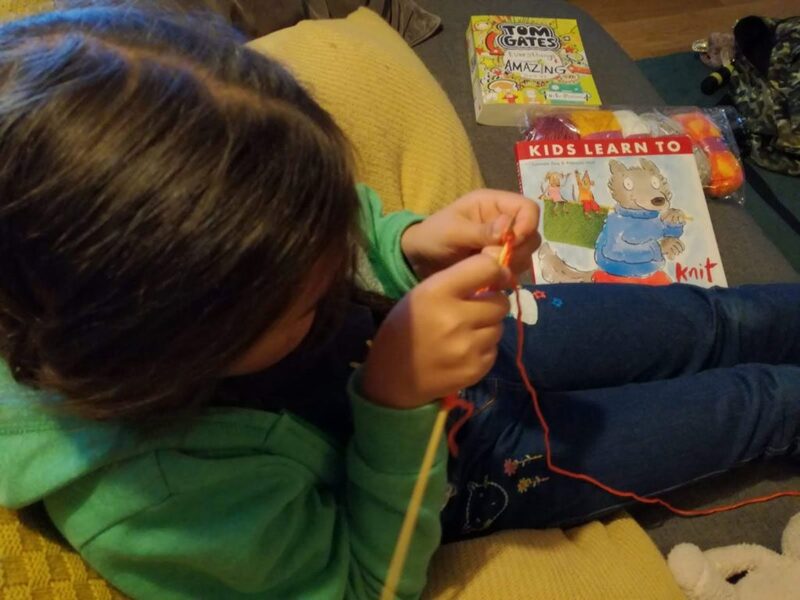 But I recently visited Coombe Valley with my own children and couldn’t believe how much there is to keep them entertained – fairy villages, den building areas, walkways through the trees, pond dipping. All beautifully unspoilt! Alton Towers is under 10 miles away. It’s usually open late March to November, but Alton Towers’ Splash Landings waterpark is open all year round and is great fun too – advance booking required. The old Victorian holiday destination of Matlock Bath is 30 minutes drive. There is a great pirate ship play area by the river and lovely shops, cafes and chippies, it’s got a seasidey feel that makes you want chips. Gulliver’s Kingdom in Matlock is a smaller and cheaper theme park, perfect for younger children. 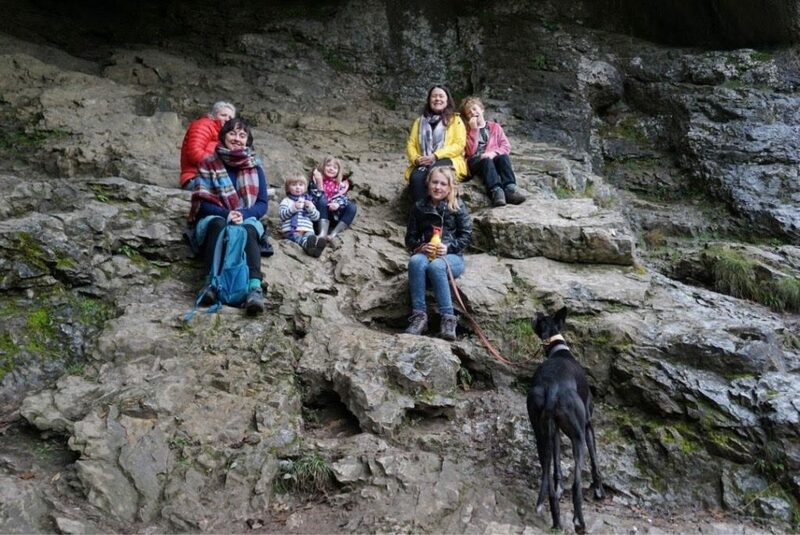 Also in Matlock Bath, The Heights of Abraham cable car takes you across the ravine to explore a hilltop park, with cavern tours, walking trails, fossil exhibitions, playgrounds with giant slides and a cafe. There is also the Peak District Lead Mining Museum in Matlock, and in nearby Cromford the free- to-enter UNESCO world heritage site, Cromford Mills, including Richard Arkwright’s first mill. Perfect for a rainy day as you’re underground. In the Peak District National Park beneath the stunning scenery is a landscape which is entirely different. 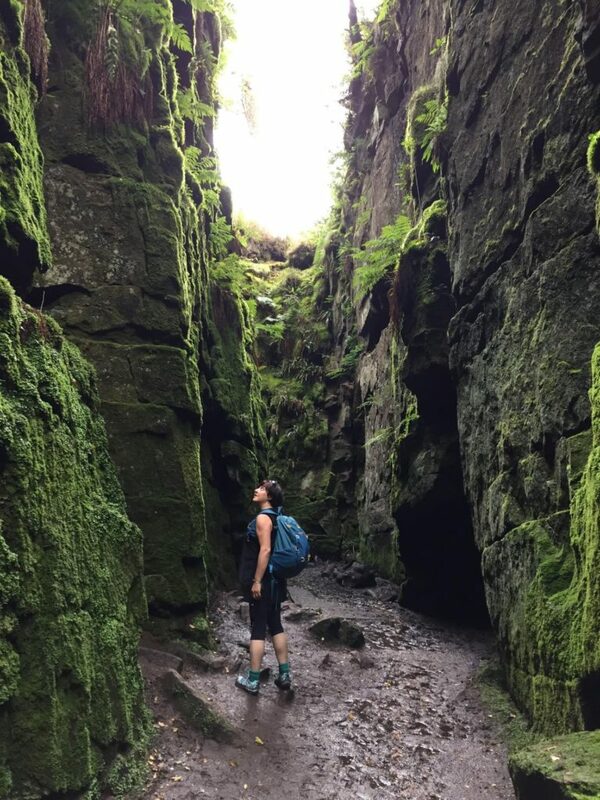 Crystal formations, historic rope works, an 18th century lead mine and an underground wonderland of stalactites and stalagmites are all hidden in the caves of the Peak District. You can see The Staffordshire Hoard, the largest ever find of Anglo Saxon treasure in The Potteries Museum, and explore some of the world’s most famous ceramic houses – Wedgwood, Middleport, Spodeworks, Gladstone and Emma Bridgwater, all in Stoke. Many have workshops where you can get hands on with clay or artistic with pottery designing. Tittersworth and Carsington Water reservoirs are a brilliant places to walk, birdwatch, explore and experiment with water sports, with 90-minute tasters on offer to try out stand-up paddle boarding, sailing, windsurfing and kayaking. Both have a cafe, shop, playground and visitors’ centre. 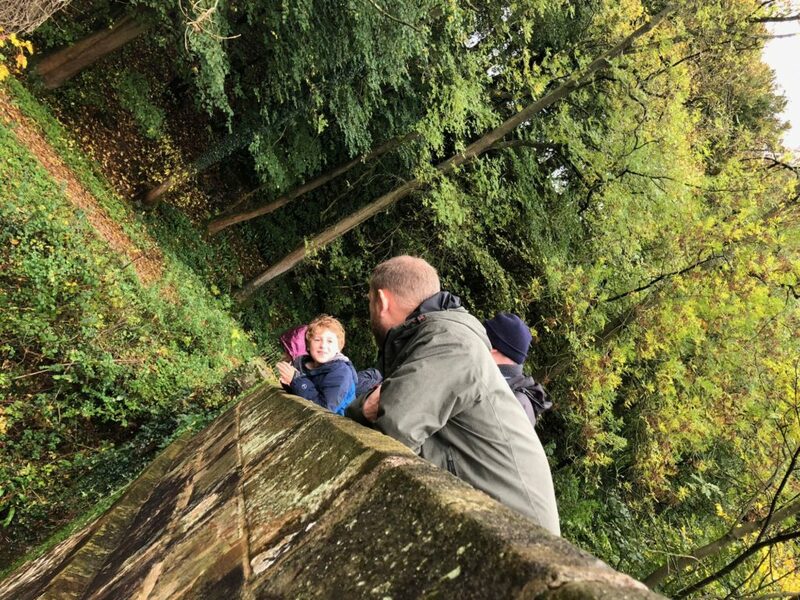 We had a great time with Chris from ‘Peaks and Paddles’ kayaking in Cromford, he also offers abseiling and caving for families, couples, groups and individuals. 07896 912871 peaksandpaddles.org. If you’re looking for a beginners pony trek or hack, cycling, clay workshops or ideas or more experiences find out about even more about our top bookable Peak District Activities. 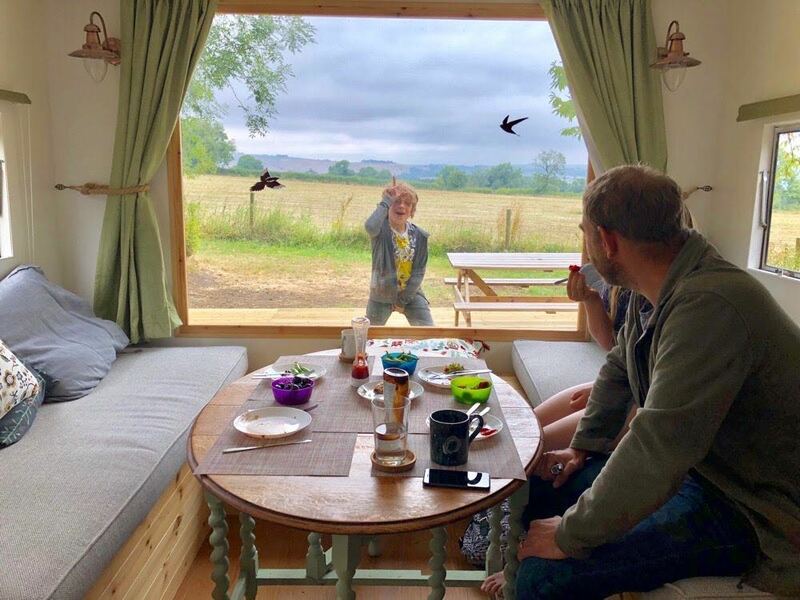 The barn and caravan are a cosy place to come back to and relax, there’s lots to explore, a pond to dip in, an old tennis court to play ball games and scoot round and hedges to make dens in. 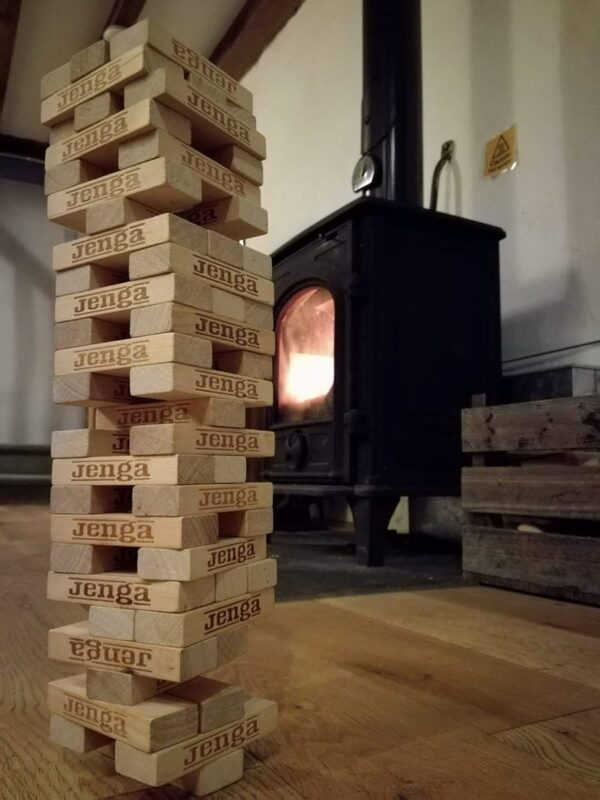 We’ve got board games, kids’ books, DVDs, wifi and netflix on the TVs. Although of course it’s up to you which bits you let them know about. We’re happy to remove the router if you’re looking to unplug!